The Indian automobile market gives preferential treatment to the medium sized sedans and the hatchbacks, as these are the cars that are sold the most in this market. Earlier the sales of the sedans were restricted between the Korean and Japanese car makers; the trends however seem to be changing with the entry into the Indian market of popular German car makers like Volkswagen. The German auto giants have brought in some very lovable products into the Indian market and have been successful in providing a lot of thrill to car lovers across the country. 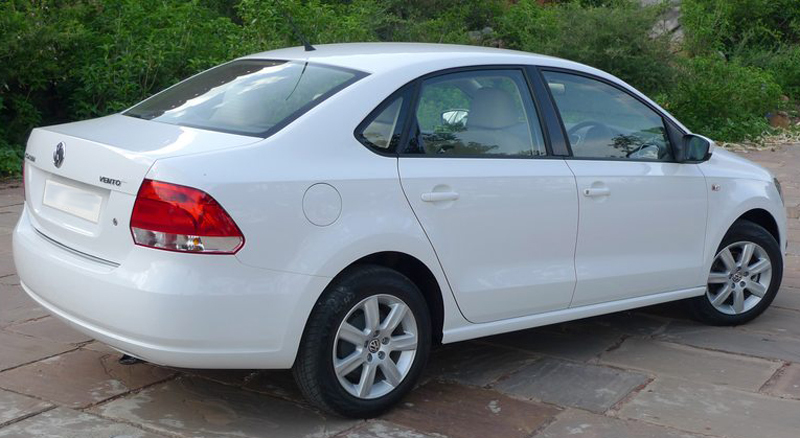 Having received unprecedented success in the Indian market with the Volkswagen Vento, their subsidiary firm, Skoda Automobiles, are planning to launch the Skoda Rapid, another car in the mid-size sedan segment, into the domestic market. 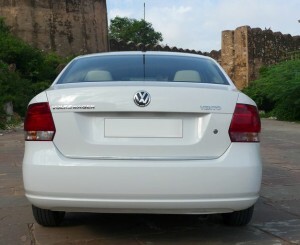 This car is expected to challenge head on the Vento, which has been manufactured by its parent brand, Volkswagen. Other competitors in this segment include the Ford Fiesta, Tata Indigo Manza and the Fiat Linea. The exteriors of the two vehicles match a lot, but the Skoda scores over the Vento in having better trimming and blending, which arms it with a greater symmetrical view. 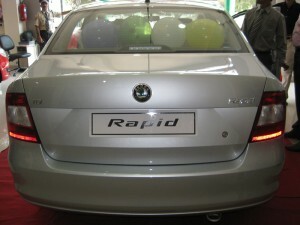 The Skoda Rapid strong built and styling is further raised by fog lamps at both front and rear and parallel front grills. The rear view mirrors on the outside have been given body colors as have been the door handles and the rear and front bumpers. Adding to the beauty are stylish alloy wheels, a roof-integrated antenna and many more. The Vento’s appearance cannot be demeaned in any manner compared to the Rapid. It has all the requisite eye-catching features that make one crazy to own it. This includes stylishly designed headlamps, rear view mirror as well as door handles in body colour, fog lamps with crystal chrome trimming, 15” alloy wheels etc. Both the vehicles have a tough enough build to assure safety to the passengers. The Rapid has been well fitted with leather/fabric interiors. The car has been decorated with premium upholstery to ensure that its passengers avail the best of experience while driving. Excellent quality plastic has been used to make the dashboard, as had been done in the Fabia and the Laura from the same manufacturer. 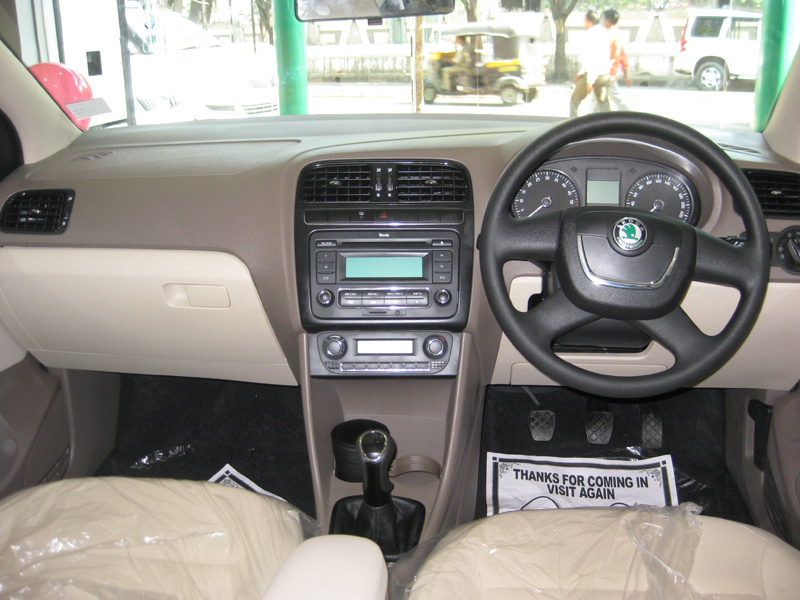 The central console as well as the instrument cluster has been designed similar to the Vento. The car has a long wheelbase that ensures greater legroom. The width of the car is sufficient enough to ensure that three passengers can comfortably seat in the rear. It is a known fact that the Vento’s interiors have been recognized as the best amongst all cars in the particular segment. 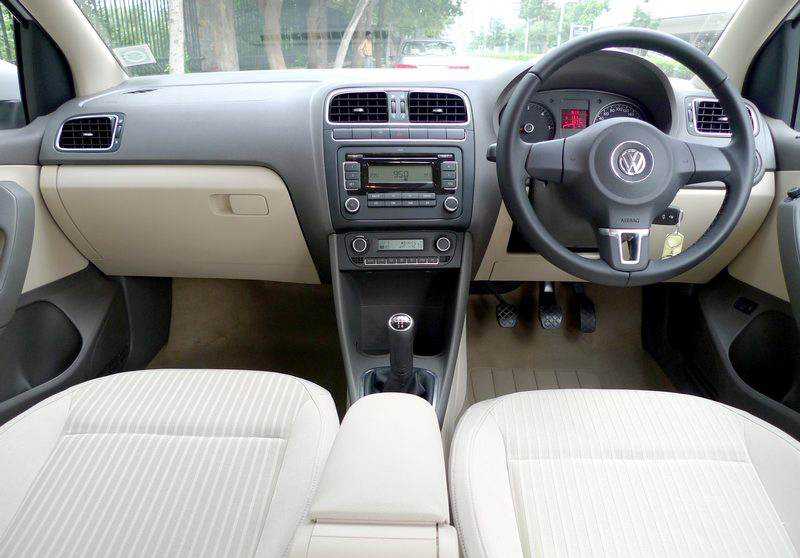 Volkswagen has been known worldwide for its class in furnishing and the same reflects in the interiors of this car as well. Talking on the comfort aspects, the Vento and the Rapid literally give the same feel. Passengers are catered to similar dimensions, legroom and shoulder space in the Vento as the Rapid. 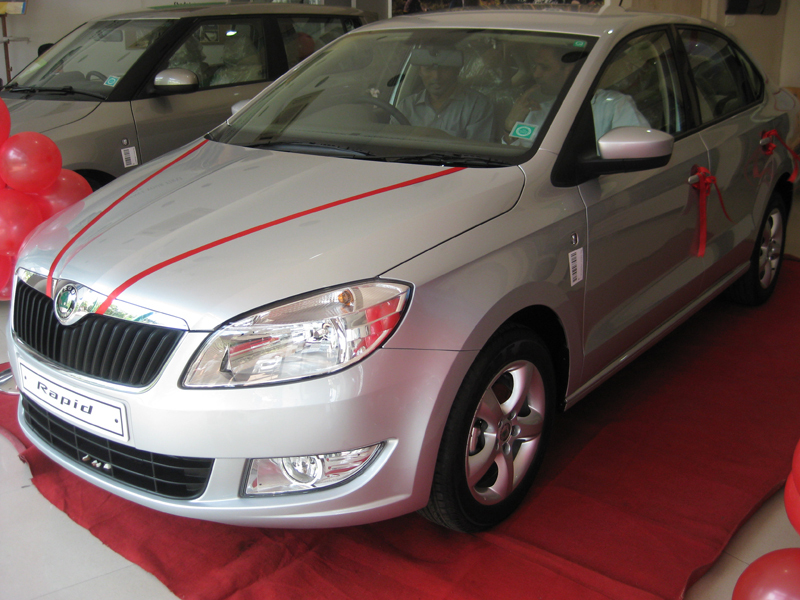 The Skoda has been made available in both diesel as well as petrol versions, each having a capacity of 1.6 liters. The petrol engine gives a maximum power of 105PS@5250rpm and peak torque of 153Nm@3800rpm while the diesel engine has peak power and torque of 105PS@4400rpm and 250Nm@1500rpm. The Vento is fitted with exactly the same engine as the Rapid and consequently the peak power and maximum torque that it achieves is exactly the same as the Rapid. 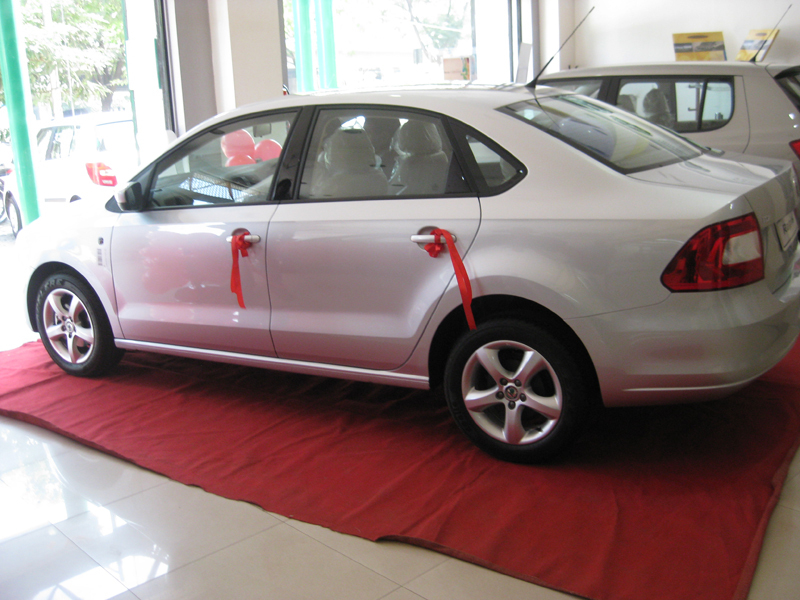 It is hard to distinguish as to which vehicle, the Vento or the Rapid, has the better features. 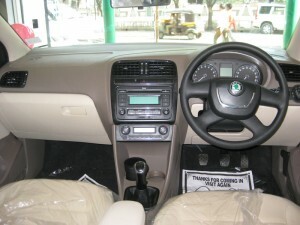 The Rapid has been loaded with top line features like Power Windows and Steering, Anti-Lock Braking System having EBD, Keyless Entry, Dual Airbags, telescopic and tilted steering wheel, rear defogger, drivers seat with adjustable height, armrest at the Front center, engine immobilizer and many more. Exclusive features that have been made available in the Vento include Air Conditioner, Power Windows and Steering, Remote Trunk and Fuel-Lid openers, Central Locking, Power Door Locks, Adjustable Mirrors and a Power adjusted exterior rear-view mirror to name a few. The Skoda Rapid provides an economical drive to its customers by offering a mileage of 15.4kmpl and 20.5kmpl in its petrol and diesel variants respectively. The Vento gives a mileage of 11-12kmpl and 15-16kmpl in the city roads and the highways respectively with its petrol model. The diesel model however gives 15-16kmpl in city traffic and 19-20kmpl on the highways. 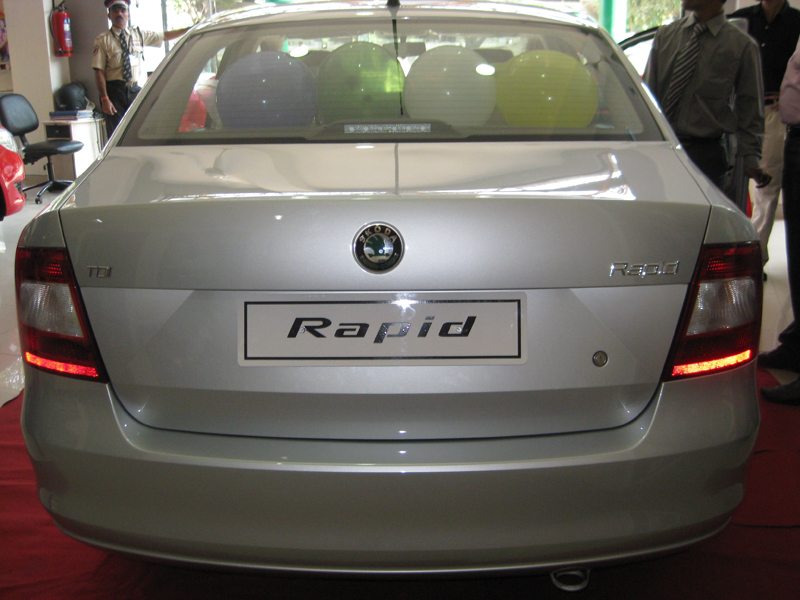 Though the exact date on which the Rapid will be launched in India has not been announced by the Company authorities, sources have revealed that the car is expected to be priced between Rs.7 lakhs and Rs.9.5 lakhs. 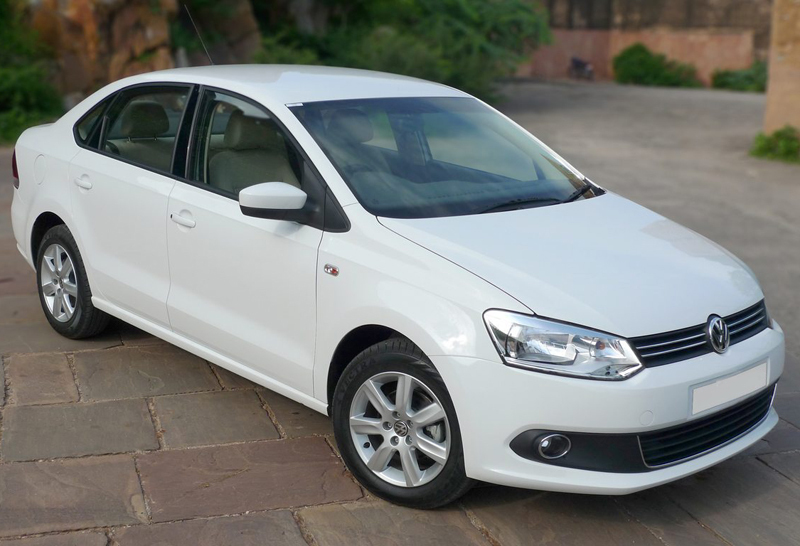 The Vento is available to its buyers in prices ranging from Rs.8 lakhs to Rs.10.5 lakhs.